Berkeley, CA, USA–The World Institute on Disability (WID) is proud to partner with IREX and UC Berkeley’s Goldman School of Public Policy in welcoming this year’s Young African Leaders Initiative (YALI) Mandela fellows! In the past, we have hosted Mandela fellows from Liberia, Kenya, the Gambia, Uganda, and Ethiopia, and this year we are excited to host two new fellows from Nigeria and Zimbabwe. It is WID’s mission to eliminate barriers to full social integration and increase employment, economic security, and health care for persons with disabilities in communities and nations worldwide; one of the ways we work toward this goal is by hosting international fellows with disabilities, as well as fellows who are interested in disability advocacy. Our fellows have the opportunity to learn how we promote accessibility and inclusion in the U.S., while WID is able to increase our international understanding of disability. In general, our previous fellows have been interested in entrepreneurial and advocacy efforts surrounding disability and have founded, co-founded, and contributed to important organizations like African Youth with Disabilities Network (AYDN), Disability Rights Promotion International (DRPI), Positive Exposure, and Start Now. Additionally, the work they have done falls all over the disability spectrum, including advocacy for people with visual, neurological, and mobility disabilities. Temitope, one of our current fellows from Nigeria, is supervising a skill-acquisition program for children with disabilities, and he is hoping to make strides towards policy reform that will make a positive and much-needed impact. Feri, our fellow from Zimbabwe, tutors young women in her community and hopes to learn more about disability advocacy in order to make vocational training more inclusive of people with disabilities. 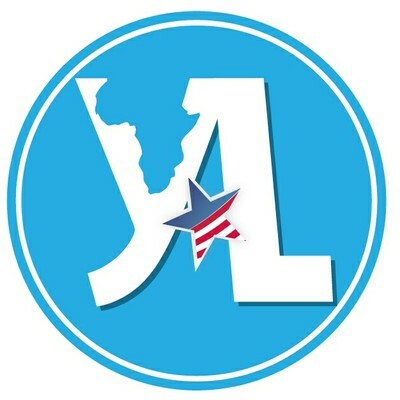 The immense value of the YALI program perhaps lies in mutual edification. While our fellows come here to increase their skill sets, they bring with them an invaluable international perspective which allows us at WID to make our work comprehensive. Because of this, we encourage you to attend the presentations Feri and Temitope will give on the work they are doing in their countries. The presentation will be held on Wednesday, July 13 in the Ed Roberts Campus in Osher B. Attendees are welcome to bring a brown bag lunch. Please, feel free to ask questions and share any information you may have that you believe may be useful to our fellows. We look forward to seeing you there!